Capillary tubes are inserted into IG units to equalize the pressure between the inside and outside of the unit. These tubes are designed to allow airflow in or out of the insulated air space. Why is this important? When transporting, IG units experience a change in elevation or 2.000 feet or more along the route from the manufacturer to the installation site. Depending upon the type of spacer system or sealants used, the IG unit might be compromised unless there is a way to equalize the positive or negative pressure. 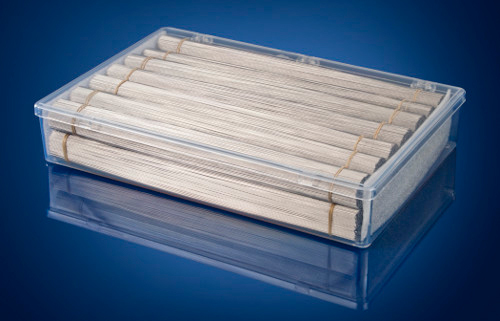 Leading Edge capillary tubes are available in both hard and soft (annealed) stainless steel. Both products are the same dimensions and are functionally identical—the decision lies with the customer. 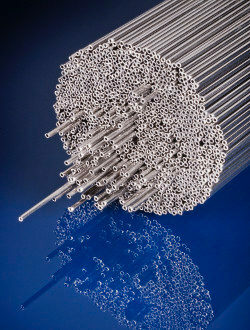 Hard tubes are more rigid and thus easier to insert into the IG unit; soft tubes are easier to bend, particularly in a fast-paced production environment.